Payroll is the money which a company owns to its employees for performing the operations assigned to them. It is an important process because the payroll and payroll taxes have a great impact on the net income of companies. Payroll errors and irregularities can lead to dissatisfaction among the employees which can impact their performance in a negative manner. Small business payroll processing should be managed in a timely and accurately manner to ensure good employee morale. 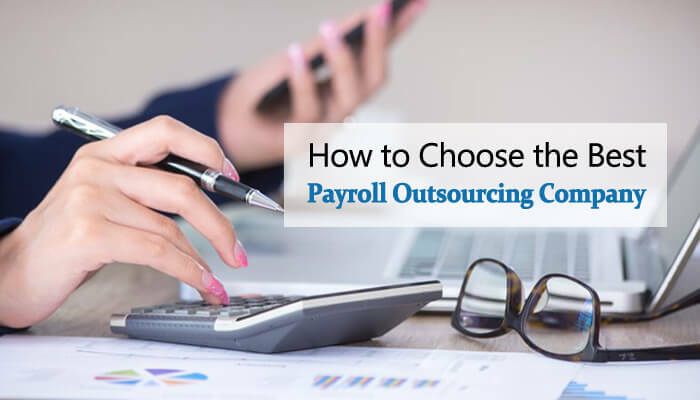 For business organizations that are finding it difficult to handle this process efficiently, payroll processing outsourcing is the best option. But hiring the right payroll outsourcing services is not as simple as it seems. Selecting wrong services could lead to complications which can prove to be difficult to handle for a business firm. The first step should be to go through the profiles of service providers on internet and shortlist the ones which appear to be suitable. Then the next step should be to completely go through the information mentioned on the websites of the outsourcing services providers. Companies who have offered information in an impressive and professional manner should be preferred. In order to test the credibility of the outsourcing firms, you can ask them for the samples of previous work done for other clients. You can also question them regarding the previous clients for which they have worked. There are certain outsourcing firms which offer the free trial option to their clients. This helps in getting a fair idea of the services offers the opportunity to evaluate whether the services are suitable or not. The services of such firms should be preferred over others who don’t offer this option. By carefully studying the customer reviews of the third party firm; you can get a fair idea regarding the quality of the services offered. You can also gather information regarding the customer service offered by the outsourcing company. Hiring outsourcing services is only justifiable if it costs less than the cost of hiring in-house staff. This is an important factor which must be kept in mind. Though an outsourcing firm might be based in a foreign country but you have the opportunity to interview them through telephone or video conferencing. Every business organization has its own specific requirements. So before finalizing on the services, you must enquire about their ability to fulfill your specific requirements. Accounting to Taxes is among the leading payroll process outsourcing companies in the world. These services are meant for enabling the business firms to concentrate on their core activities, reduce costs and maximize profits. To know more, contact us at info@accountingtotaxes.com or call us at +16466882821.